Social media has given us a different kind of freedom unknown to our forefathers. Rare historical photos and information are now more accessible even to those with the slightest interest in our past. And that is a good thing, as long as you use social media to revolutionize how people look at Philippine history. Unfortunately, while others search for truth some people use the platform to do the opposite: finding historical myths and then sugarcoating them for the benefit of the gullible masses. 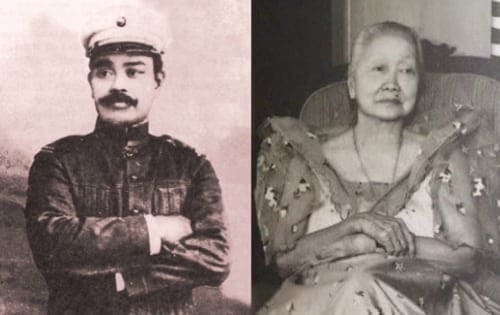 Gen. Antonio Luna’s love affair with Ysidra Cojuangco is one such myth–as persistent as a legend that just won’t die, as persuasive as the Yamashita treasure, and as ridiculous as Rizal fathering Hitler. Yet, some people buy the story without an inkling how it all started. So, how this historical rumor really started? The story already existed before millennials were even born, and most of us would have remained unaware of it had “Baron Buchokoy” not uploaded the now-infamous YouTube video in 2011. The premise of the whole anti-Aquino propaganda video is that today’s Cojuangco-Aquino wealth can be traced to the millions worth of treasures entrusted by Gen. Antonio Luna to his girlfriend Ysidra Cojuangco. As we all know, Luna was assassinated in 1899, leaving all the money to Cojuangco who never returned it to its rightful owner–the First Philippine Republic. The same intriguing tale, although much more detailed, appeared in the book “Some Are Smarter Than Others: The History of Marcos’ Crony Capitalism” by former National Archives director Ricardo Manapat. He then turned over the treasures to his then 32-year-old sweetheart, Ysidra Cojuangco, before going to Cabanatuan where he met his bloody end. 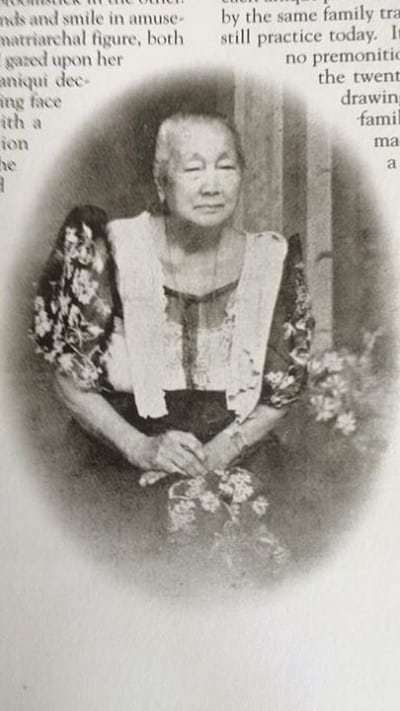 Doña Ysidra Cojuangco. Source: Isidra Reyes/Manila Nostalgia. The exact source of the said “revolutionary funds” is also subject to historical debates. It has been believed that the treasure entrusted to Ysidra by Gen. Luna was actually the “emprestito” or the millions worth of silver pesos donated by the Pampangueños to sustain the First Philippine Republic. In her books, Rafaelita Hilario-Soriano recounted how his uncle Tiburcio Hilario, then the governor of Pampanga, was asked to collect the emprestito and transfer it to Luna three days before the latter’s assassination in Cabanatuan. The money, loaded “inside a trunk four feet long, four feet high and more than a meter wide—made of the hardest wood and of iron,” was given to Luna with Aguinaldo’s permission. Nobody knows how and why the emprestito disappeared, but the whole story itself is considered as just part of family history. Common sense should also tell us that those behind the book and the video that has popularized the Luna-Cojuangco connection are not to be trusted. The author of “Some Are Smarter Than Others” was the same Ricardo Manapat who was accused of forging documents for the purpose of disqualifying Fernando Poe Jr. in the 2004 presidential elections. 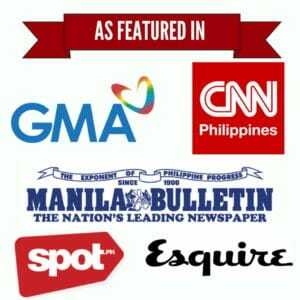 A segment of ABS-CBN’s “Correspondents” about the labor strife in Hacienda Luisita was also axed in 2005 because it was “based purely on allegations” by Manapat himself with the help of Inquirer columnist Larry Henares. Hoax photo of the Luna Assassination created by using a digital photo editor like Adobe Photoshop to blend a photo of Filipino soldiers during the Philippine American War with a photo of a dead Confederate soldier killed in the Siege of Petersburg, April 1865. Photo Credit: Cito Maramba via Facebook. As for the viral video, closer scrutiny will convince you that it was haphazardly done, its weak content is offset by the video’s spine-chilling graphics and sound effects. 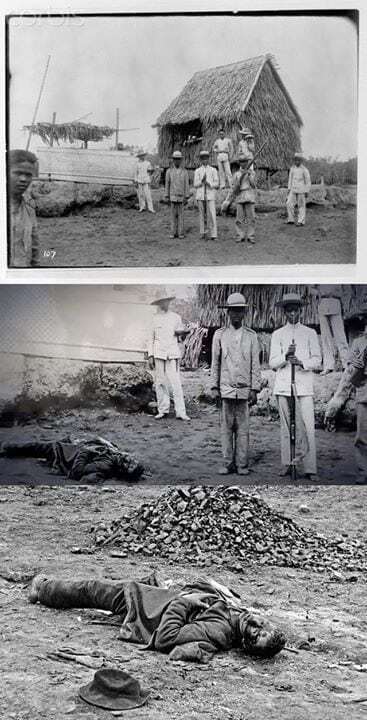 But don’t be fooled: the photo showing the assassinated Antonio Luna, for instance, was made possible through the use of–surprise, surprise–Adobe Photoshop. How can you trust a video whose creator didn’t even bother to find an authentic photo, let alone specify where it came from? Now, let’s go back to Ysidra Cojuangco–the maiden in this complicated love story. Born on May 15, 1867, Ysidra was the daughter of Antera Estrella, a native of Malolos, Bulacan, and Jose Cojuangco, who emigrated from China to the Philippines in 1836. Ysidra had two other siblings–Melecio and Trinidad. Both Ysidra and Trinidad were spinsters, although there was a rumor that Ysidra had a love child (named Felicidad) either with Gen. Antonio Luna or a Chinese merchant. Melecio, on the other hand, pursued Education at Letran and UST, became a representative in the first Philippine Assembly, got married and raised four sons, before finally succumbing to a heart attack at a very young age. 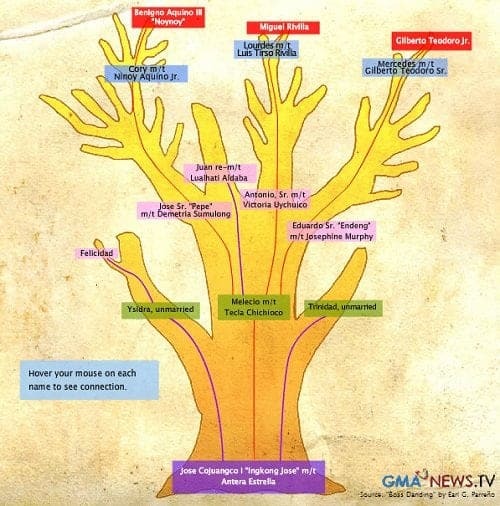 Among Melecio’s four sons were Jose “Pepe” Cojuangco Sr., father of future Philippine president Cory Aquino; and Eduardo “Endeng” Sr., who sired the future Tarlac governor and chairman of San Miguel Corporation, Danding Cojuangco. Thanks to Ysidra who took the role of their father, the Cojuangco boys turned out to be competent politicians and businessmen. With the support of their aunt Ysidra, they were able to establish the Philippine Bank of Commerce, considered to be the first Filipino-owned private bank in the country. Cory’s father, Jose, also managed the family sugar mill and later bought the 6,453-hectare Hacienda Luisita from a Spanish company. As to whether the story about Doña Ysidra using the Republic’s money to build their family’s fortune was true or not, Cory’s nephew Miguel “Mikey” Ongsiako Cojuangco said in an interview with The Philippine Star that it was only a rumor. He also agreed that Doña Ysidra was a talented businesswoman, and that probably explains everything. Ysidra Cojuangco died in 1960 of acute pulmonary edema, but the legend of her love affair with the slain general and the mystery of the lost Republic’s treasure still haunt her clan. Maybe it did happen, but the evidence has been lost to history. Or perhaps people with their own agenda are the ones to blame for perpetuating the story. Either way, this popular historical myth–or whatever you call it–speaks volumes to how Filipinos enjoy the comfort of opinion without the discomfort of thought. “Encarnacion, Ysidra’s friend and neighbor, said that Ysidra confided to her that she and Luna were very good friends and left her many valuables “not once but regularly” and on many occasions. Encarnacion is the daughter of Eulalio Saulo who confirmed the story because he was one of the military escorts of the gold shipment to Ysidra. Her testimony is the first direct evidence from Ysidra admitting what many Luna contemporaries long suspected, “that the source of the Cojuangco fortune was the gold and silver commandeered by Luna to finance his guerrilla war from up north and regularly turned over to Ysidra. Another source is Gen. Jose Alejandrino, the confidant of Luna. He told his nephew, Ambassador Jose Alejandrino, that before Luna left for Cabanatuan he said to him in the presence of Col. Paco Roman he was leaving the gold and silver in the custody of Ysidra until he returned. Luna did not say what the value of the treasure was worth. Gen. Alejandrino’s grandnephew, BayanKo adviser Jose Alejandrino, believes Ysidra had no intention of stealing the money. Manapat, R. (1991). Some are Smarter Than Others: The History of Marcos’ Crony Capitalism (pp. 206-209). Aletheia Publications.